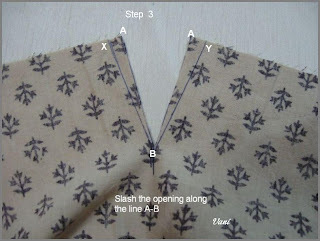 A placket is an opening that allows clothing to be put on or removed easily; it has got two parts the extension and the facing. 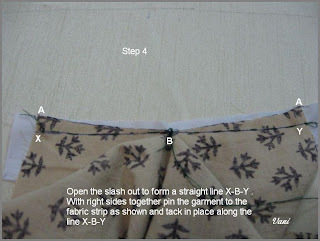 Facing falls above the extension .Some call it as under placket and top placket. 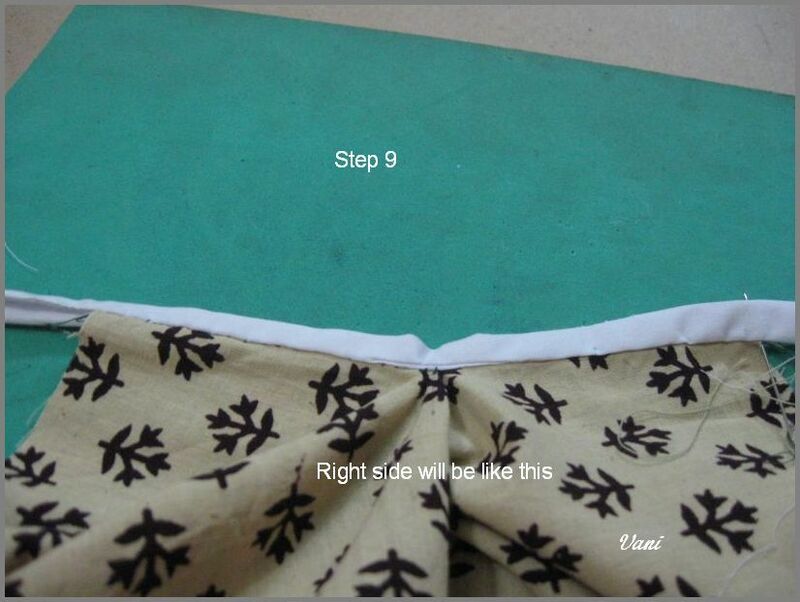 It is also called single button stand and double button stand. 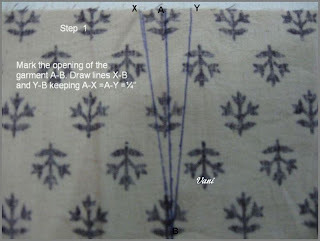 In Kannada it is called “Gundi Patti". 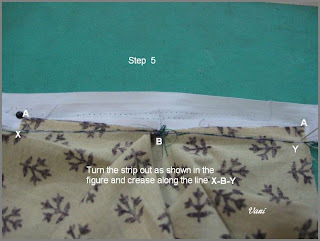 When we use hooks and eyes or bars are used eyes or bars are sewn in the extension and hooks are sewn on the facing. 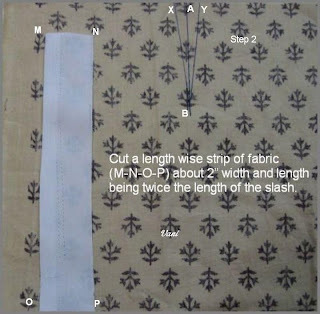 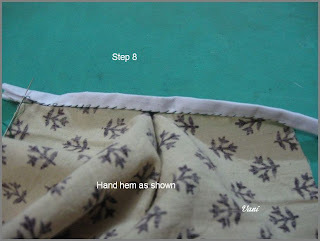 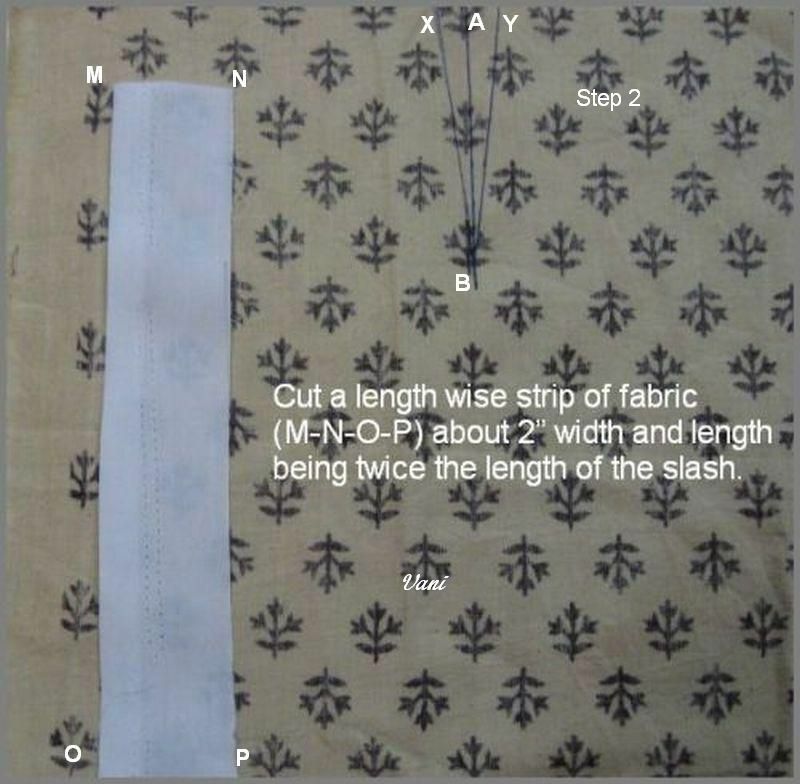 When press snaps are used snaps are sewn on the extension and balls are sewn on the facing at back side of the garment. 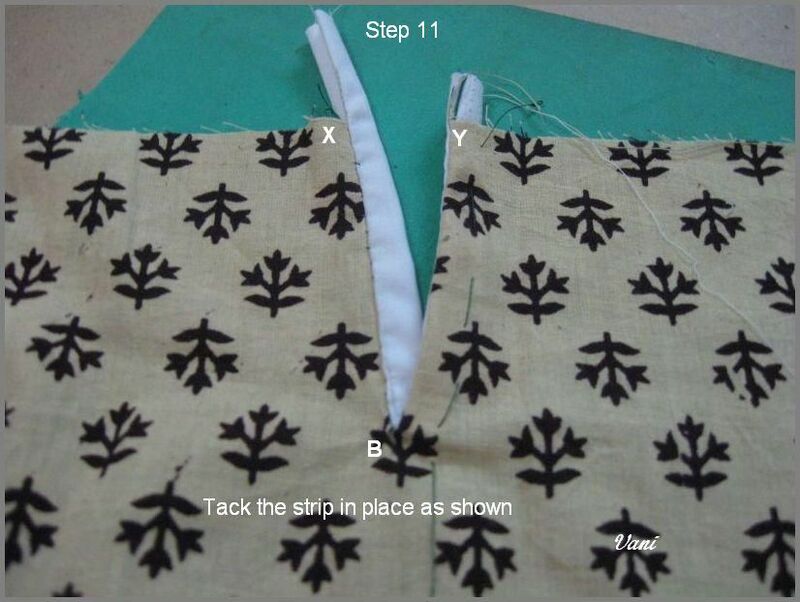 If buttons are used buttons are sewn on the extension and button holes are made on the facing. 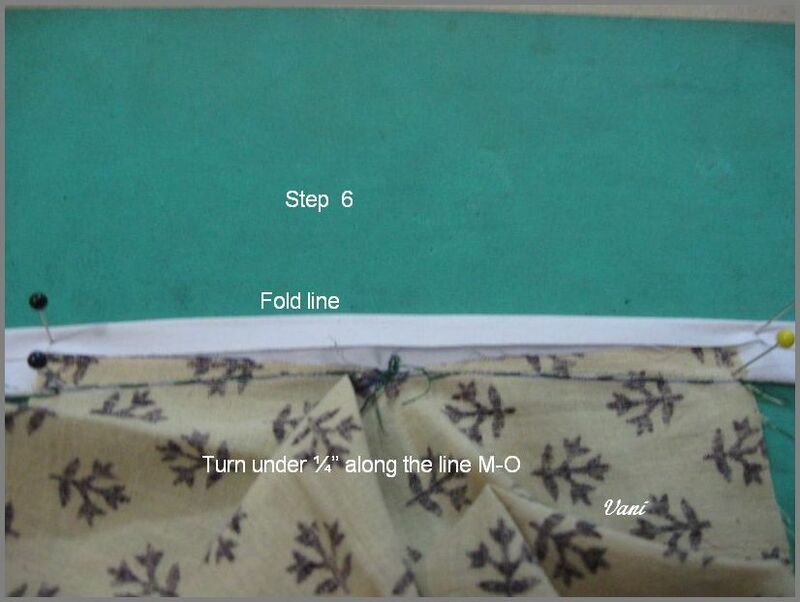 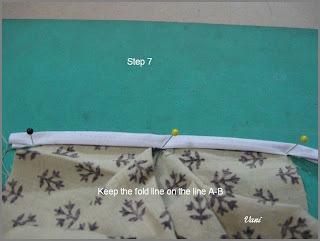 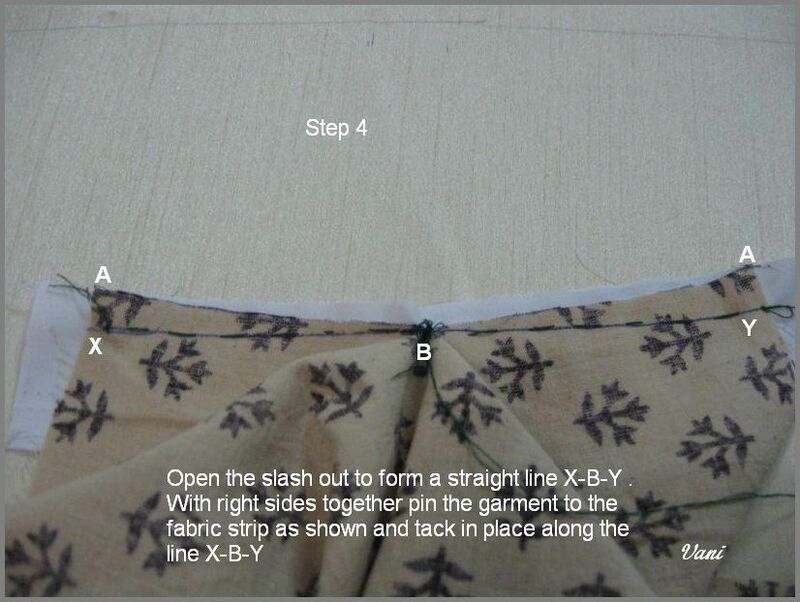 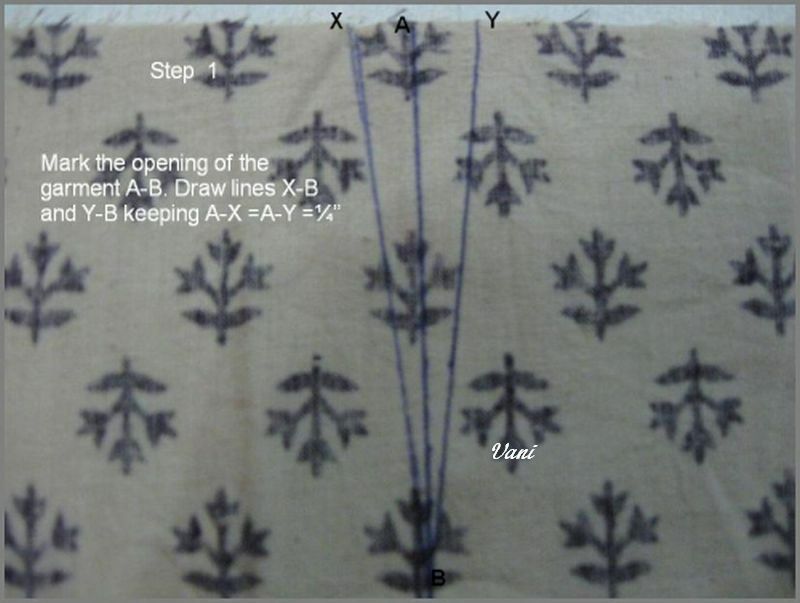 In ladies garments extension is sewn in the left front and the facing is sewn in the right front.Continuous bound placket is one of them. 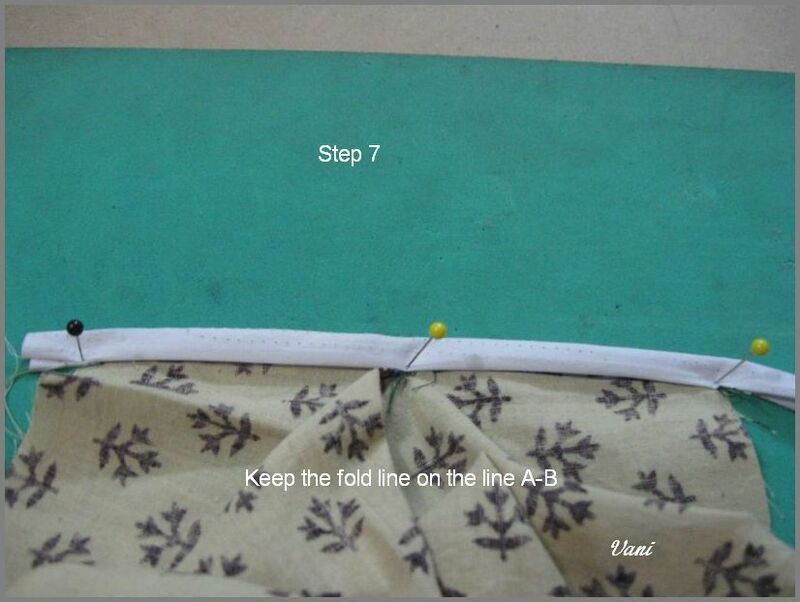 Continuous bound placket provides a strong lapped finish for a garment opening. 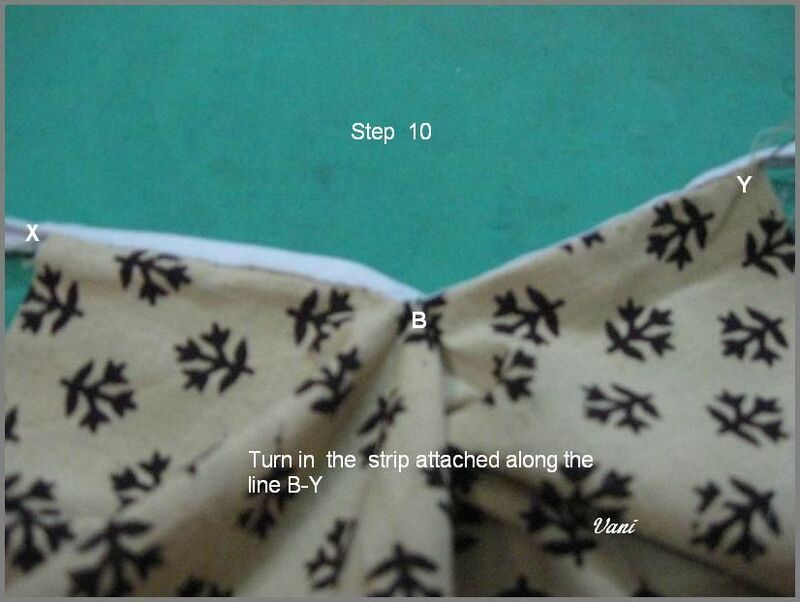 It is suitable for children's dresses ,petticoats and for sleeve openings with cuff or a band. 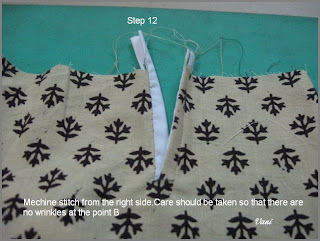 hello, thank you for sharing your tutorials, they are a great help! 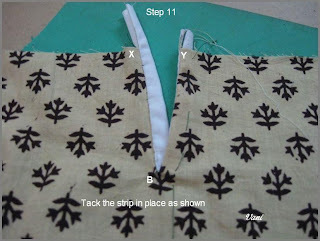 thank you for sharing your tutorials, they are a great help! 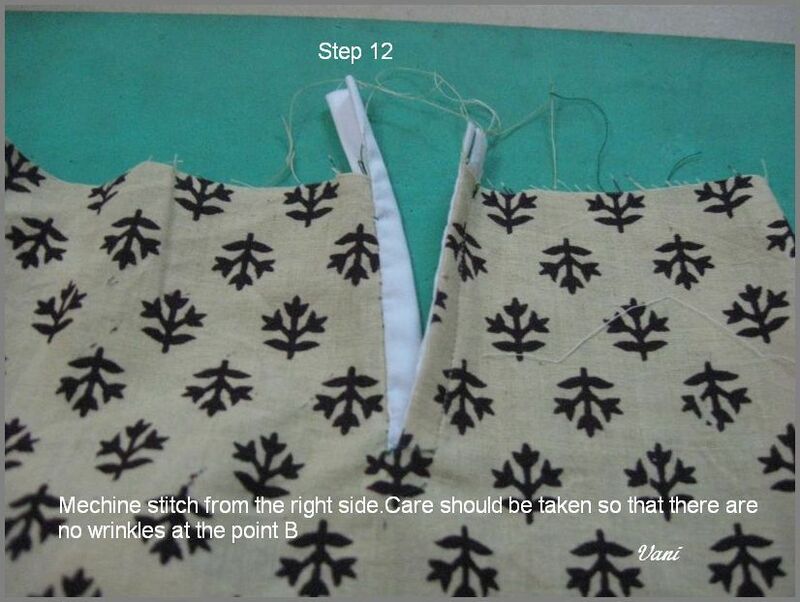 Thank you SO much for the visual, step-by-step tutorial!! 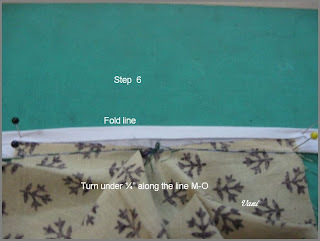 I was ready to throw my project in a box and walk away. 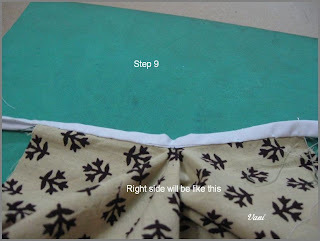 I will be visiting your blog again.